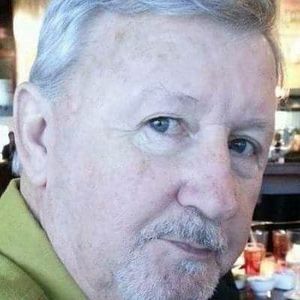 GREENVILLE - Tommy Ray Cobb, 71, of Greenville, died Tuesday, December 27, 2016, at 10:15PM at his home. Mr. Cobb was born August 15, 1945, in Muhlenberg County. He was a U.S. Marine Corp veteran, where he was a mailman. He was a member of Church of Jesus Christ of Latter Day Saints. He was preceded in death by his parents, Freeman Cobb and Cara Smith; brother Jackie Cobb; and mother-in-law Joyce Dukes. He is survived by his wife, Teresa Dukes Cobb; sons Tommy Ray Cobb II, Justin Ray Cobb, Spencer Ray (Carissa) Cobb, and Tyler Ray Cobb, all of Pennsylvania; daughters Michele (Brian) Brettl of Owensboro, Gretchen (Ryan) Dean of Pennsylvania, and Jessica (Bart) Ford of Louisville; grandchildren Cassie, Dylan, DeAnna, Joel, Seth, Olivia, Ellie-Kay, and Brayden; great-grandchild Landon; sister Carol Ann (Jerry) Mayhugh of Central City; father-in-law Gerald Dukes; sister-in-law Sherland Clark; and several nieces and nephews. Funeral services will be Saturday, December 31, 2016, at 2:00PM at Tucker Funeral Home in Central City, with Bishop Donnie Abney officiating. Burial in Old Jackson Cemetery. Visitation will be Saturday after 11:00AM at the funeral home. Online condolences may be made at www.tuckerfuneralhomes.com. So sorry for your loss. May God be with you and your family during this very difficult time. So sorry Teresa, prayers for you and family. Tommy was a class act and genuinely good person. He was one of our "Wendy's Buddies," that ate lunch there with his golfing friends most days. He will be missed. My thoughts and prayers are with the whole Cobb family. Mr. Cobb raised an incredible family! I'm so very sorry to hear about the loss of Tommy. Enjoyed playing golf with him. He was a great friend and will be truly missed. A great Man and good friend. DEnjoyed the many golf trips we made. He will surely be missed. My thoughts and prayers are with your loved ones for peace and comfort for your delay of being together. Families are forever.